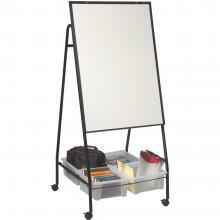 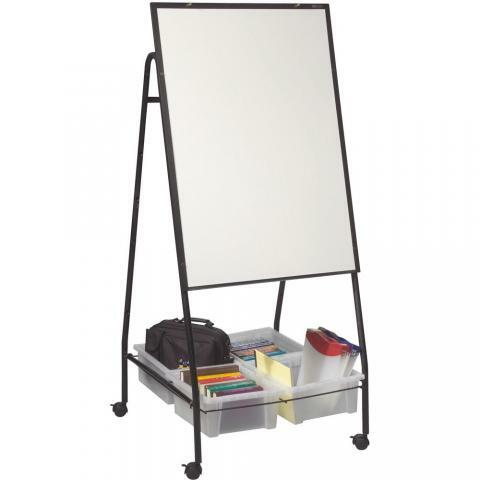 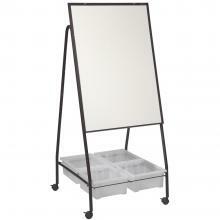 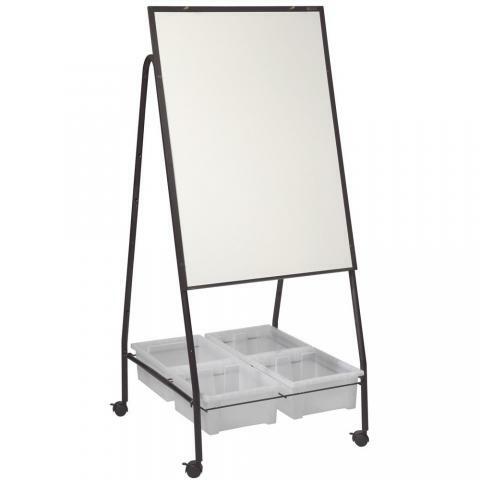 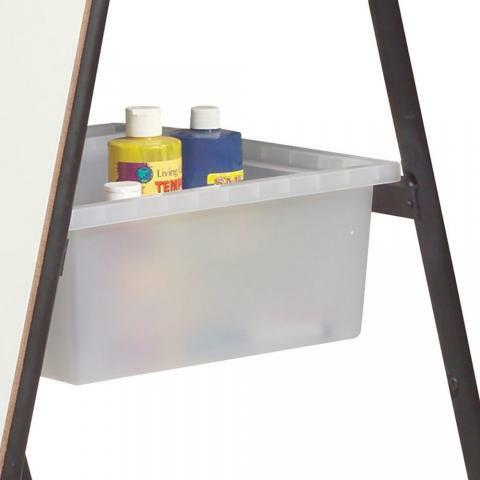 Rolling Whiteboard Organizer. 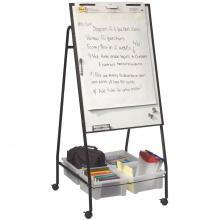 This whiteboard is made of Porcelain Enameled Steel (50 year guarantee) and is framed in black anodized aluminum. 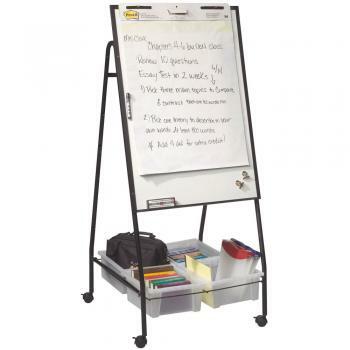 The rolling frame sits on 3" locking casters to help you move around the classroom easily. The magnetic whiteboard surface doubles as a magnetic bulletin board and four (4) storage organizer tubs are included to help keep your classroom organized.